Fossil turtle shell has a fascinating surface. 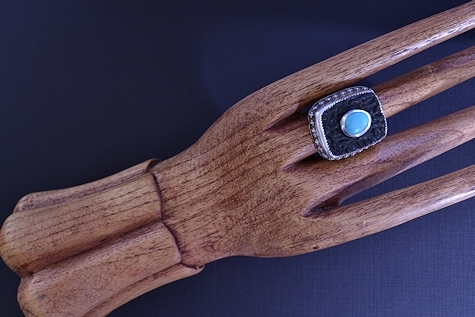 A pretty little turquoise gives the ring a little color as well as texture. Sadly I have no information on the type of turtle shell this is or where it came from. 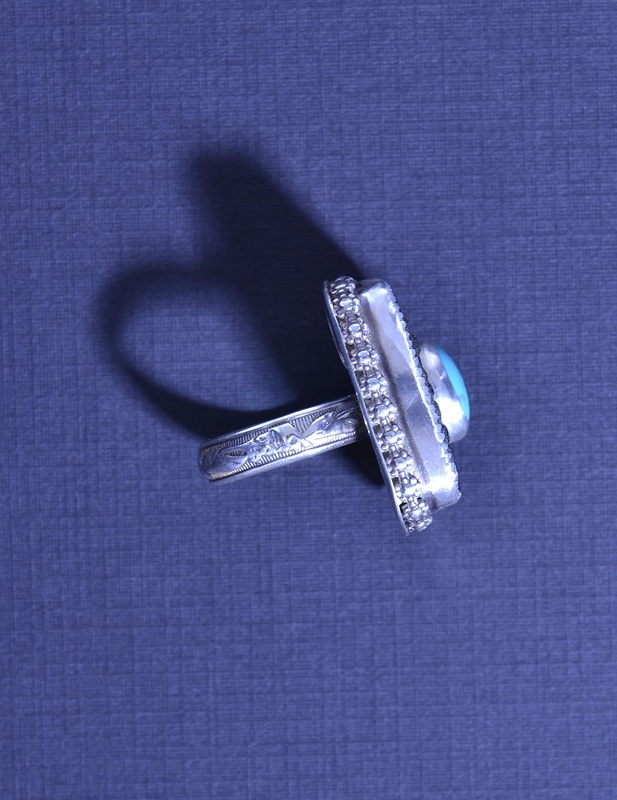 Please note that unlike some of my rings, this one is not adjustable. As you may know, it is not possible for me to size a ring like this without removing the stone (and likely tearing up the setting) because I can't put a torch on the fossil or the turquoise. Silver transmits heat instantly, even the heat-protective products may not be adequate to protect the stones for soldering in place. If you would like this ring but need a different size, I can cut through and round off the edges on the back of the band to make it an adjustable style (like this one). Otherwise it could be sized by someone with a laser welder. Please let me know what you need when you order.